Thanks ev'ryone for all answers. Now S853 is my most satisfied phone. But I have only one main problem. 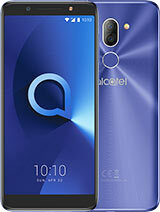 Only one shop (it is Alcatel center) sell Alcatel mobile phone in my country. And Alcatel center place at my capital city that's 700 kms far away from me. 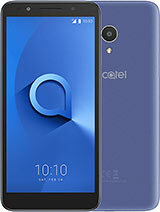 I have only way by send it on parcel post to Alcatel center. I want you to advise me, Should I by this phone. Now in my country sell S853 estimate 105 US dollars. In all honesty, I think the volume is sufficient too... it is a very nice sounding handset. I have more question, how easy to create playlist in the song menu. I want to know step by step to create playlist. I used to use song menu in Nokia 6233 but in can only select folder to be play and can't select by song (example we select folder Memory card/song/ that have 85 songs, it will play all of 85 songs, we can't select 60 from 85 songs to play). Sudlor, that what they said about the games is not true. As long as you have the game file and put it on the memory card you can install the game, naturally if the game is not compatible with the phone the game will not work, so check that first. To all people who have SD card problems... I recommend to use SanDisk cards!!! They were originally used when this phone was designed. - try changing your user account type to computer administrator. 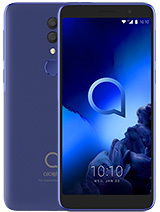 im planning to buy a 1G card for this phone and im not sure what brand will work better for this phone.thanks! Question:Can we use downloadable bluetooth applications from the internet for file sharing? 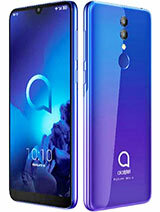 Our OT S853 sells at PhP 5,990.00. To Knight Rider, I don't know that all country use the same firmware or different. But I ask Alcatel center in my country and they tell me that it can only install java by pay money and download through GPRS. But I think Alcatel center in my country has known a little bit, do you think the same with me. To everyone, I want to know that FM radio in this phone has 1 or 2 decimal. Example in Nokia 6233 has 2 decimal so that we can listen to channel 104.25 MHz, but Motorola E680 has 1 decimal so we can only listen to channel 104.2 or 104.3 MHz if we want to listen to channel 104.25 MHz and it's sound not clear. OK. So here is my problem: My phone can't detect 1GB Memory cards. I tried different brands (KingCom and PQI). But still, my phone can't detect it. I brought it to wellcom and they said it won't detect 1GB memory cards (and even 512 MB cards). That's what also versatile telecoms said when I e-mailed them. But how come your phones can detect 1GB cards? Why my phone doesn't work? I have the 188 version of the firmware. I also tried to reset it to factory settings. Still, the problem is there. Before, it detects my 1GB card but limited. I mean, for example, it doesn't display all the music in the card. It only displays songs from letter A to S (it should be A to Z. But now, it's worse. When I insert the card, the "OK" icon (in line/beside the battery meter) is not appearing. And I checked the memory card in the media album, it says "No memory card detected"
May I ask a favor from you guys. Please check your media album, then the "my sounds" folder, and check if all of your songs/music are displayed. (Try also the "games" folder because I also encounter the same problem with games, It doesn't display all games). Depending on the phones firmware the games can be installed on the memory card by just simply copying the desired files. Games can be launched in the games and apps menu. Older versions require for games and apps to be copied to the phones internal memory before they can be run. I think you will find the phones sound most satisfactory. does anyone know if you can put in 2Gig memory in this?? Red, send me a mail about your problem on un112@msn.com and I will help. Yes, the phone has a standard 3.5 mm jack in its remote control. is the headset, the standard 2.5mm ? so that means the bluetooth headset from cd-r king will work because they support v.2 & v.1.. I'm going to buy that, it's just P780 ($17). very cheap. thanks for thee info. 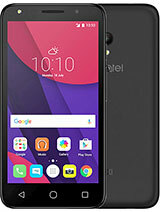 I just got this phone as a birthday present from my uncle last week, the phone is great! But Im having trouble installing the pcsuite. 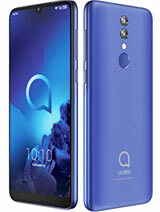 I try installing from the cd and get "error 1612", I download version 418 from alcatel website and still get the same error. I have even try installing all the patch and updates on the website to no avail. Microsoft support page said that the installer might be broken or I lack admin rights on my computer(I am on an admin windows xp user account). For those who sent me mail requesting for OT S853 games and applications, please be reminded that there are some that cannot be replied. I received mail from yahoo that the addressee cannot receive the mail because it is being blocked for security reasons. It may be the company where you are can only accept business e-mails. 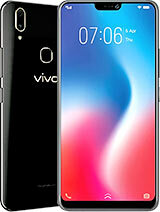 Please use personal email address like yahoo, msn or gmail in requesting games and applications for this phone. Thanks.